Rock Krawler Suspension is proud to release the coil over upgrade for JK Wrangler owners running 3 to 4 inches of lift. This suspension upgrade consists of 2.0 Rock Krawler Racing Development emulsion coil over shocks running a true dual spring rate setup. 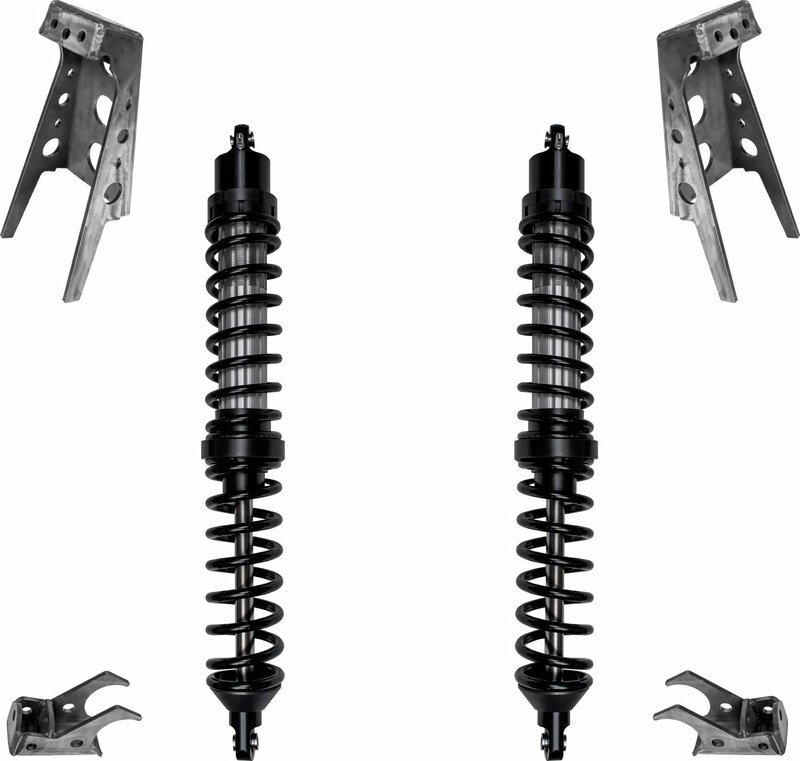 The coil over shocks provide a massive 11 inches of perfectly controlled wheel travel! Massive 11" of controlled travel. (2) Upper coil over shock mounts made from 1/4 thick laser cut steel, (2) 2.0 body - 11 inch travel coil over shock assemblies with true dual rate spring setups, (2) lower coil over shock mounts made from 1/4" laser cut steel, hardware and detailed instructions.